Are Headwinds Mounting That Could Lead Investors to Question Growth Expectations? 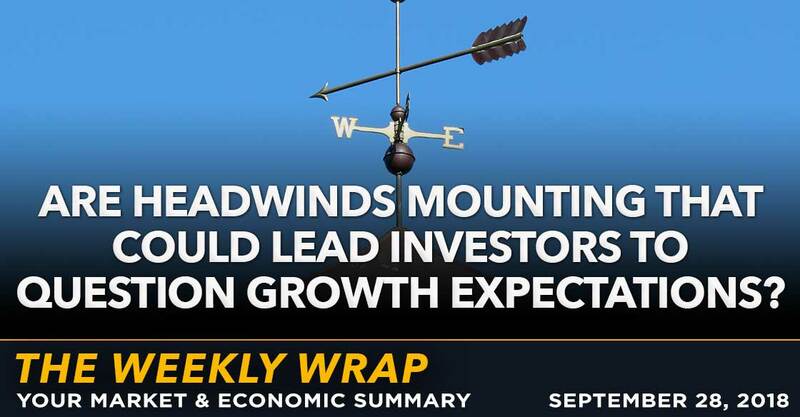 Weekly Wrap: Are Headwinds Mounting That Could Lead Investors to Question Growth Expectations? Home / Weekly Wrap: Are Headwinds Mounting That Could Lead Investors to Question Growth Expectations? 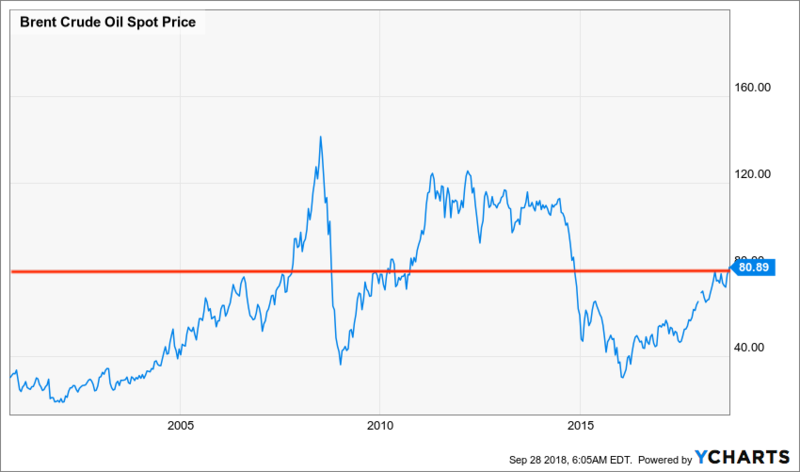 Rising oil price, rising interest rates, rising inflationary pressure with earnings growth expectations at the higher end of the historical spectrum. US manufacturing remains strong but showing signs of slowing. Increased political gridlock likely after the mid-term election. Geopolitical risks are rising and remain underpriced by the markets. There are days where you feel like the world is just slapping you in the face. This week some of those dealing with a Senate hearing you have may vaguely heard about (ugh) are likely feeling that way as are, I suspect, Elon Musk fans and I still cannot even think about my wounded 49ers, but I think this guy really gets the award for a rough one right in the face. 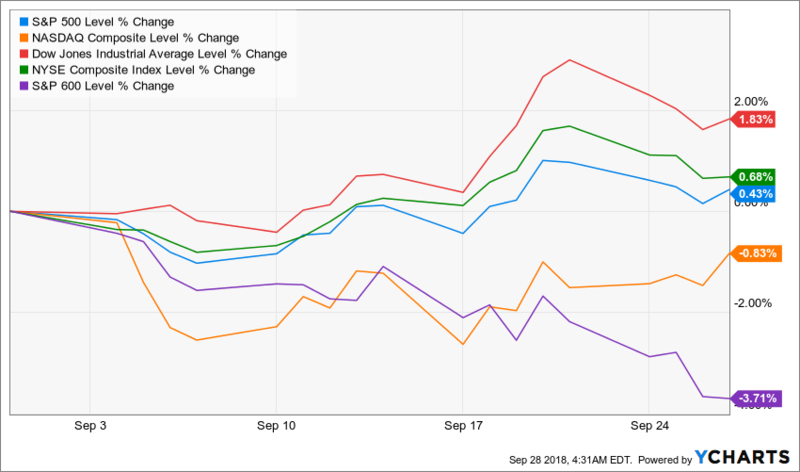 Speaking of things not going as one might hope, as we close the books on the September quarter, the major market indices ended with a bit of a whimper as they mostly headed lower this week. Let’s review the blow by blow of the last few days. Monday, the Dow Jones Industrial Average and the S&P 500 closed in the red and the Nasdaq closed flat on the news that China canceled the trade talks that were scheduled for this week. Given that China’s leader is not facing any election, ever, it stands to reason that the nation would do what it can to apply additional pressure to America’s leadership with an impending election that could alter the balance of power. This trade war/skirmish/campaign/scrimmage is unlikely to end anytime soon or easily given that both sides think they have the stronger hand. Tuesday, was a repeat of Monday with the Dow & S&P 500 losing additional ground while the Nasdaq gained slightly, up +0.2%. Wednesday, the Federal Reserve raised rates as expected and removed a key phrase, “accommodative policy” from its traditional statement. Stocks had been higher prior to the announcement but dropped after its release with the S&P 500 closing down -0.3%, the Dow down -0.4% and the Nasdaq down -0.2%. Thursday, the S&P 500 broke its 4-day losing streak, gaining +0.3%, the Dow up +0.2% and the Nasdaq up +0.7% as the usual tech titans roared back to life – Facebook (FB) up 1.1%, Apple (AAPL) gain 2.1%, Amazon (AMZN) 1.9%, and Alphabet (GOOGL) up 1.1%. President Trump suggested that he and China’s President Xi Jinping may not be friends anymore upon accusations that his country may be trying to meddle in the upcoming elections. Make no mistake, wars between major nations are no longer fought over physical territory, but rather in the virtual world of data where it costs a lot less to have a much bigger impact. You’ve probably heard this before – data is the new oil. Thursday after the close was rough for Tesla (TSLA) shareholders on the news that the Securities and Exchange Commission is suing CEO and Chairman Elon Musk for fraud in that now infamous $420 secured tweet. The stock fell 10% in after-hours trading. In May 2018 US equities began significantly outperforming the rest of the world, but in the past few weeks, that has changed. The same has happened versus emerging market stocks. The Nasdaq and US small caps are not validating the moves in the Dow. The Russell 2000 has fallen to new 6-month lows while the Dow has been reaching new highs. The Dow and the S&P 500 have much greater exposure to the rest of the world than small caps so their outperformance over small caps is contradictory to the prevailing narrative that the US has the strongest economy. The market cap weighted S&P 500 has been materially outperforming the S&P 500 equal weighted index since early April with outperformance going near asymptotic recently. In fact, Amazon and Apple account for nearly 30% of the S&P 500’s gains this year and the six FAANGM stocks account for around 50%. Bottom line for equity markets is we are seeing a lot of performance chasing. 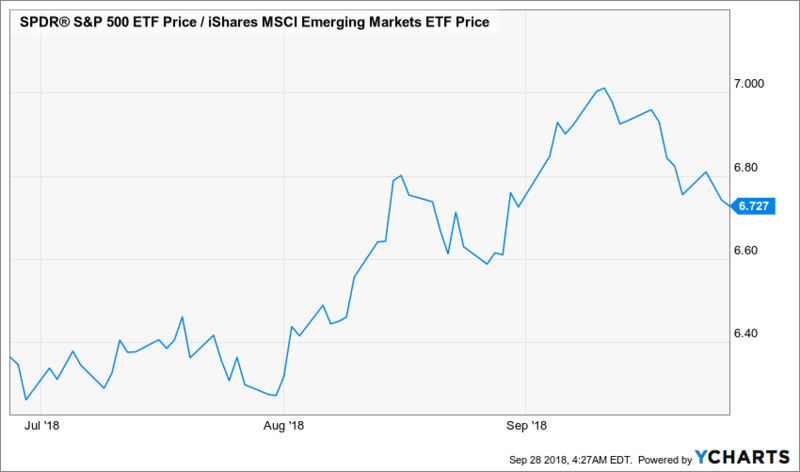 According to the latest Bank of America Merrill Lynch Portfolio Manager Survey, the pros continue to love domestic equities and dislike emerging markets with $14.5 billion net inflows into the US and $962 net outflows from EM just last week. Oil has closed up in five of the past 6 weeks with Brent crude going over $80 a barrel for the first time since 2014. The last two times it hit this level, (red line in chart) in 2007 and 2010, prices went parabolic within a year. For the consumer, it means there could be more pain at the pump than the 7% year over year increase in average gas prices they are already paying. Natural gas has also been rising, sitting near or at the year-to-date highs thanks to tight inventories that are at the lowest levels in 10 years excluding 2014. The current increase in inventories has been slower than typical and are currently 18% below the 2009 to 2017 average on top of demand that is 20% higher year-over-year on a rolling 1-month basis. The bond market is struggling. Monday the US Treasury 2-year auction saw a bid/cover ratio tied for the worst level in about 10-years. BBB rated bonds have an average yield of 4.43%, which is about 2x the S&P 500 dividend yield and the highest rate we’ve seen since February 2016. The US 10-year Treasury yield has reached over 3%, up 24 basis points in 5 weeks amidst growing fiscal deficits and China now absent at US Treasury auctions. The latest Federal Reserve fund flows data show that non-financial corporate business debt to GDP is over 46% of GDP, a record high. Given that interest rates remain at historically low levels, the service on this debt is today around 20% of aggregate EBIT. The concern here is as rates rise and that debt needs to be rolled over, it will be at higher rates. 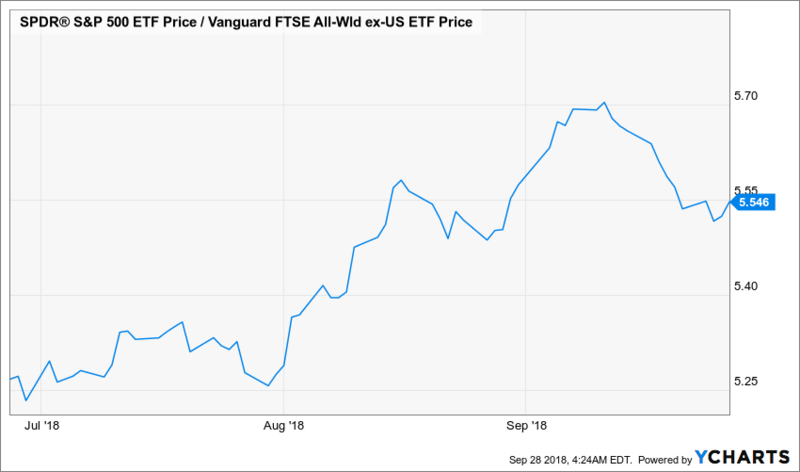 Future earnings are facing higher interest expense, higher wage costs and higher energy costs, which means we are not likely to see earnings growth of the same magnitude, especially since higher debt costs will probably cut into share buyback volumes. 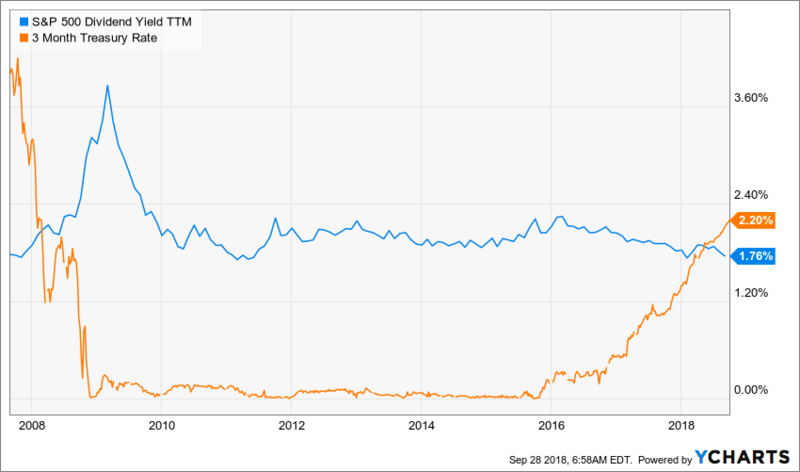 In recent months, the yield on the 3-month Treasury has risen about the S&P 500 dividend yield for the first time in 10 years. 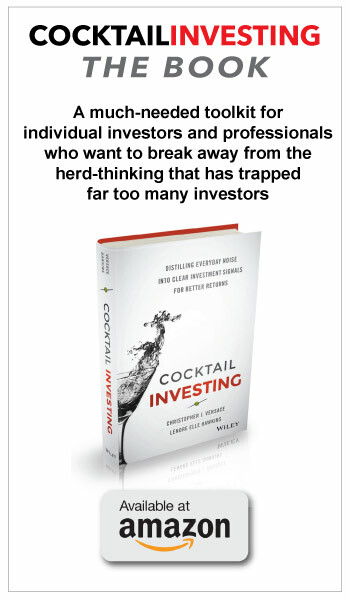 Market dynamics are changing. Bond yields were so low for so long that lower-risk bonds were not a viable alternative for investors – today investors have a very different set of options. The bottom line is that when it comes to bonds, TINA (There IS No Alternative) has left the building. Investors can now get reasonable yields on safer assets and ought to be wary of all that QE, NIRP and ZIRP fueled corporate debt all-you-can-eat smorgasbord is going to have a come-to-Jesus moment. Rising rates are bringing that fates day closer. The latest WSJ/NBC poll found that the Republicans at around 40% of the votes for mid-terms versus the Democrats at 52%, a 12-point spread compared to just 8 points a month ago. The House is a given to switch to the left, but the Senate is increasingly up for grabs as well, making this week’s confirmation drama all the more tense. This growing spread is clearly not lost on trading partners who are in negotiations over tariffs. Clearly, there will be more political gamesmanship in the coming weeks. Just what the market doesn’t need. This week we received the last three final regional manufacturing reports, Richmond, Dallas and Kansas City. The Dallas Fed headline hit a 4-month low, but the Richmond headline index reached the highest level on record, with data going back to 1993. In the Dallas report the spread between Prices Paid and Prices Received was the largest in over 7 years. In the Richmond report, New orders and Shipments firmed while Capex plan fell. Price pressures were evident in Richmond as well with Wages at an all-time high, Prices Paid near a 6-year high and Prices Received also on the rise. Putting all five regions together, the data has weakened noticeably. Only two of the current components, when aggregating the data, are up month-over-month (New Orders and Workweek) with the eight other components in decline. Four of the future looking outlook categories are stronger month-over-month (Unfilled Orders, Delivery Time, Prices Paid and Prices Received) with the other seven in decline. Every single component for the current and future conditions are in decline compared to June 2018 (3-month change). Thursday’s Durable Goods orders for August beat expectations, up +4.5% versus +2.0% expected. New Orders for the US made non-defense capital goods fell -0.5% with shipments roughly flat. Motor vehicle orders were down month-over-month and July was revised slightly down. Core capital goods rose +0.1%. This adds to the growing view that the September quarter’s speed slowed compared to that for the June quarter and its 4.2% GDP. The bottom line for manufacturing is that the numbers in absolute terms are still strong, with no impending signs of a recession. Production is not, however, accelerating. Business Roundtable found CEO confidence is falling from its recent historic highs and the escalating tariff battles are having an effect on investment plansin the coming months. The biggest surprise of the week, aside from the fireworks coming out of the week’s Senate hearing, was the jump in US Consumer Confidence to the highest level in 18 years at 138.4 versus expectations for 132.1. Taking a look at the state of the consumer, we can see why folks may be feeling pretty good. The Unemployment Rate is 3.85% and has been below the Federal Reserve’s NAIRU (Non-Accelerating Inflation Rate of Unemployment) for 17 months. There are more job openings than there are job-seekers. The quit rate is on the rise and is currently at the highest level since 2000, which means wage pressures as employers fight to keep their employees, knowing there are very few sitting on the benches these days. The measure of “jobs plentiful” going all the way back to 1967 has only been higher in late 1998 through January 2001. The equity share of total household assets has reached 24.6%, a cycle high. The only time it was higher was during the dotcom boom. Financial assets as a percent of total household assets are over 70%, again near all-time highs. When folks look at their assets, they’re feeling pretty good even if wage growth has been weak since the financial crisis – that’s the good news. The bad news is the last time we were near these levels for financial assets was in the late 1960s and the 1990s. The real returns on the S&P 500 in the following ten years was negative, both times. With weak wage growth this cycle, the correlation between consumer confidence and the stock market has risen to 81% versus an average of 51% over the prior four decades. Such high consumer confidence is a classic late-stage indicator – recall that it bottomed out in February in 2009 – a fantastic time to go all in with US equities. Today the bear camp is the lowest in 8 months with the bull-bear spread the widest since January. Remember what happened in February? Finally, on Friday Personal Income disappointed, rising just +0.3% month-over-month in August versus expectations for a +0.4% increase. With the Fed poised to boost rates four more times in the next 15 months, gas prices at elevated levels and signs from economic data and company commentary that trade and tariffs are boosting input costs, I see more pressure than not on consumer spending. While that confirms the thoughts behind our Middle-class Squeeze investing theme, it’s not exactly what one wants to see heading into the holiday shopping season. The bottom line for Consumer Confidence is that this tends to be at best a coincident indicator and at worst a trailing indicator. When confidence has been at such lofty levels in the past, a recession was at best a few years off and at worst less than a year. As of Friday morning, the US and Canada had yet to come to an agreement on trade, despite the September 30thdeadline. On Wednesday President Trump claimed that he had rejected a meeting with Canada’s Prime Minister Justin Trudeau. Canada then announced that no such meeting had been requested – so this negotiation is going well. Recently Italian equities had rallied, as had sovereign bonds, on word that the country’s coalition government would keep the fiscal deficit below 2% of GDP, which is below the 3% Eurozone threshold. For comparison, according to the most recent data from the Congressional Budget Office, the US is projected to have a 4.6% budget deficit in fiscal 2019. Italy’s current public debt to GDP is 132%, the largest percentage in the Eurozone after Greece and we remember what fun that was. The fun part is Luigi Di Maio, the leader of the Five Star Movement, Deputy Prime Minister and Minister of Economic Development (what a business card!) has stated that he believes it would do no harm to go over the 3% threshold. His party is pushing for guaranteed basic income while the coalition partner, the League, is pushing for a flat income tax for both companies and individuals at 15% and 20% respectively. I think the showdown internally in Italy and with the Eurozone leadership is going to make this week’s Senate Supreme Court hearings seem calm and respectful in comparison. The risk here is that the world’s second largest economy, the Eurozone, is potentially heading into political and economic chaos that may involve a default by the 8thlargest debtor nation in the world. That would be a financial crisis of rather epic proportions. Friday we got a look at Italy’s budget and wouldn’t you just know, its deficit target is three times higher than the previous government had planned for the upcoming year. Luigi Di Maio said that with this budget, “We have abolished poverty.” I told you it was going to get fun! The Italian FTSE MIB index lost nearly 4.5% on the day. The bottom line is the market is materially mispricing geopolitical risks. The disaster of the Brexit negotiations combined with the utter insanity (and I do not say that lightly) of the current Italian political leadership means that it is very unlikely that things are going to go smoothly in the future. At $2.5 trillion, Italy has the 8thlargest total external debt of any nation. It is heading into a battle with the Eurozone that has a material probability of ending with Italy’s exit from the Eurozone itself and a potential default of some sort. Greece’s total debt is less than one-fifth of Italy’s and remember the drama from that one? This is a debt load that Germany cannot shoulder and Germany’s leadership is already seriously weakened. Taken together, these factors could lead companies to be conservative in terms of guidance in the soon-to-arrive September quarter earnings season despite the year-over-year benefits of tax reform and continued stock buybacks. In other words, these mounting headwinds could weigh on stocks and lead investors to question growth expectations for the fourth quarter. What’s more, even though S&P 500 EPS expectations still call for 22% EPS growth in 2018 vs. 2017, we’ve started to see some downward revisions in projections for the September and December quarters, which have softened 2018 EPS estimates to $162.01 from $162.60 several weeks ago. Not a huge drop, but when looking at the current stock market valuation of 18x expected 2018 EPS, remember that hinges on the S&P 500 group of companies growing their EPS more than 21% year over year in the second half of 2018. 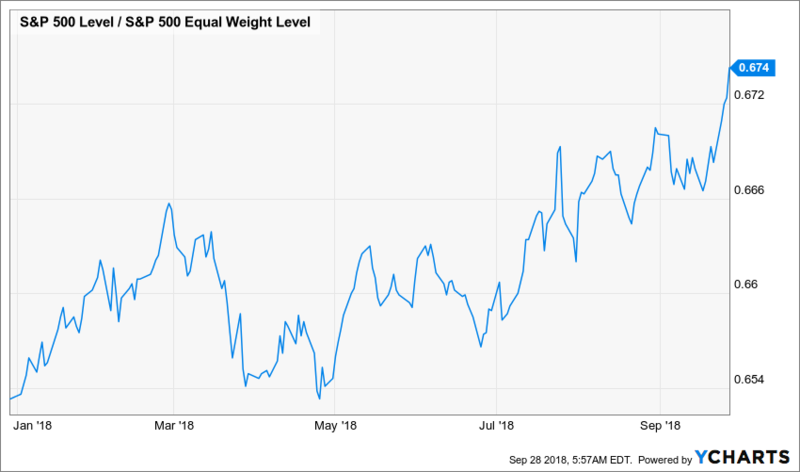 And then there is the realization hitting investors that even companies that are delivering better than expected September quarter results, such as Nike (NKE), Jabil (JBL) and KBHome (KBH), their stocks are getting hit as all of the above factors I’ve discussed weigh on corporate guidance. What this tells me is we could be in for a bumpy ride over the ensuing weeks as trade, tariffs, politics and economic data converge on corporate guidance and hit investor expectations. Next week we’ll be looking for further insight into manufacturing in the US with the Markit manufacturing PMI and ISM manufacturing indices on Monday and Factory Orders on Thursday. We’ll be looking to get more on how the consumer is behaving as opposed to feeling with Tuesday’s Motor Vehicle Sales report and Consumer Credit on Friday. We’ll get the ISM and Markit Services PMI on Wednesday. As these and other September data points roll in, we will likely see GDP forecasts for the September quarter continue to firm much like we did this week when the Atlanta Fed cut its view to 3.8% from 4.4% following several pieces of housing data and the August contraction in core capital goods orders. Lenore Hawkins serves as the Chief Macro Strategist for Tematica Research. With over 20 years of experience in finance, strategic planning, risk management, asset valuation and operations optimization, her focus is primarily on macroeconomic influences and identification of those long-term themes that create investing headwinds or tailwinds.